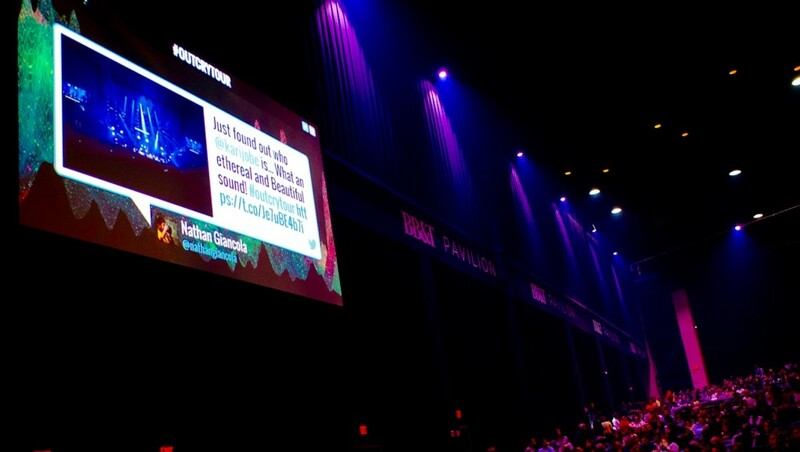 The road to fame isn’t easy -- unless you’re lucky enough to attend an event using Twine’s streaming social media display. This tech-savvy tool allows brands to share the spotlight with guests, building excitement on-site in a way that promotes the brand outside venue walls, too. We call that a win-win. 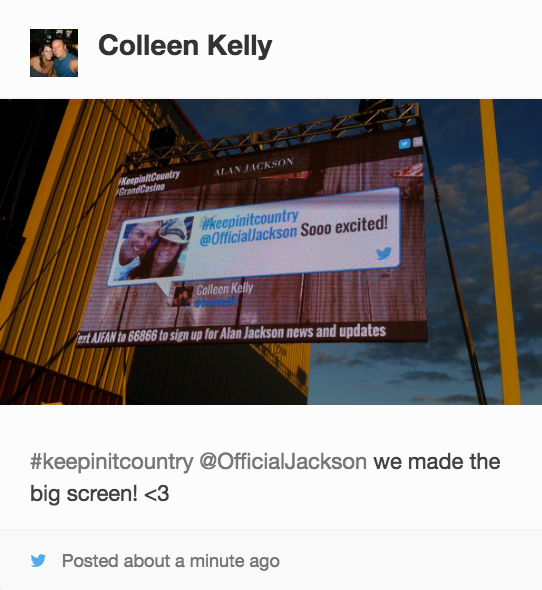 Consider last weekend, when country singer Alan Jackson introduced fans to Twine’s live social wall at a sold-out concert. 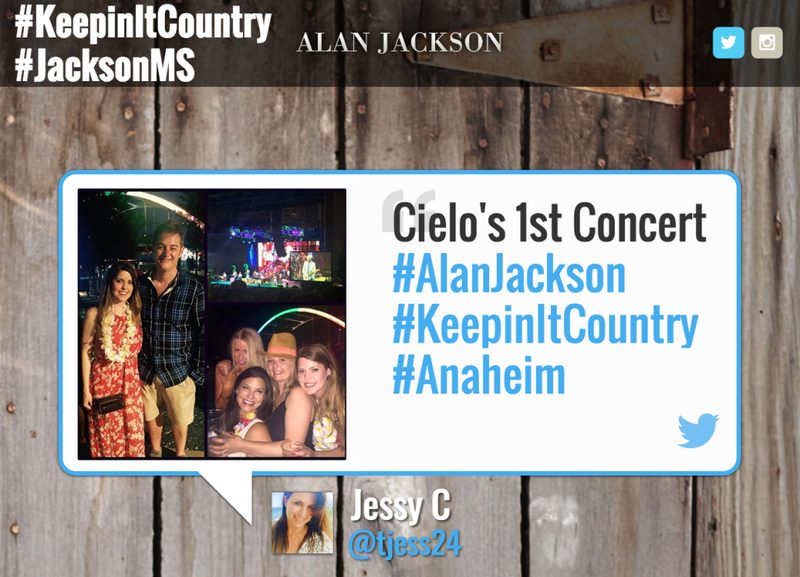 As the crowd began posting to social networks with the tour’s #KeepinItCountry hashtag, they saw their own photos and comments appear on the venue’s big-screen TVs just moments later. Twine’s aesthetically thoughtful display supercharged the event experience for fans and Jackson’s brand. Attendees enjoyed a few moments of fame inside the concert hall, while the boost in social media activity surrounding Jackson’s concert caught the attention of a wider Internet audience. Given extensive customization options, Twine’s streaming display is ideal for a variety of events. Using pre-set keyword filters or live moderation tools, social content can be thoughtfully managed from any location and by multiple users, if desired. 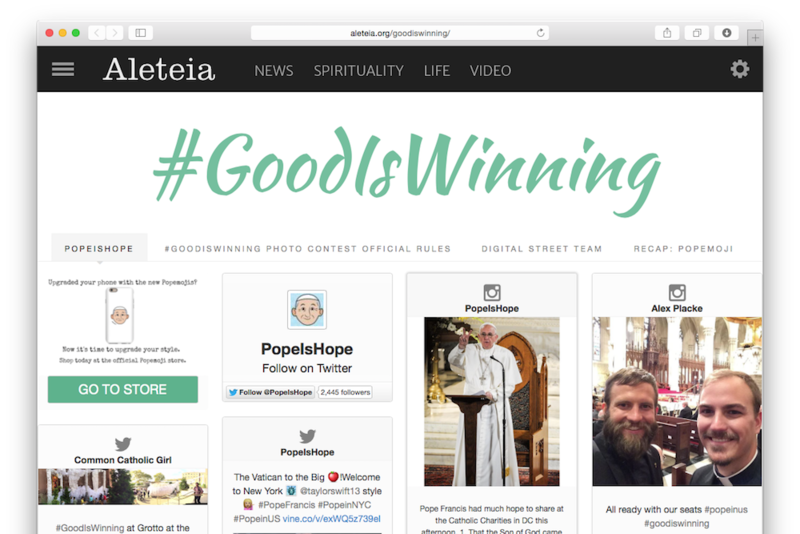 Background images, event logos, featured social networks, and hashtag info can all be configured to match overall branding, and timing parameters adjusted as needed. 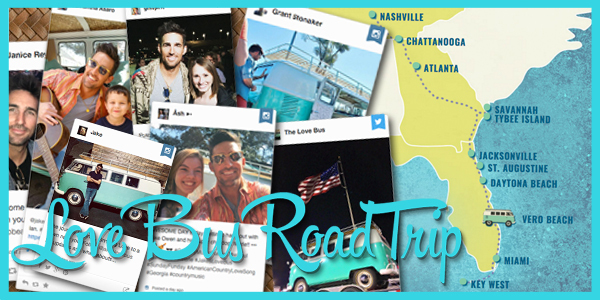 Every college kid looks forward to spring break, and apparently country music star Jake Owen does as well. Axon shows how a well-crafted online presence can bring big results offline. 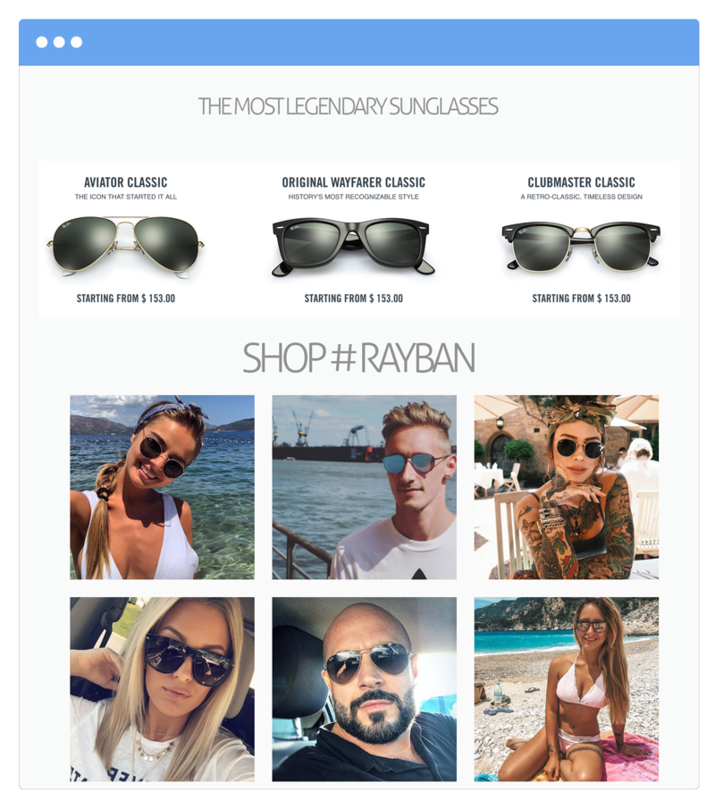 With TwineSocial, the most successful brands are going further. The internationally-acclaimed Rainforest Alliance isn’t afraid of tackling a challenge.